Saravia refers to Captain Álvaro Saravia, who described in an interview with Carlos Dada of El Faro his role in the death squad which committed the murder. Saravia is a defendant in the currently open case. But beyond Saravia, prosecutors have shown little interest in illuminating the truth about the rest of the plot to kill Romero, including other participants and intellectual authors and the role of Roberto D'Aubuisson, founder of the ARENA political party. The biggest threat today to the ongoing pursuit of this case is perhaps the proposed draft of a new law which would re-establish amnesty for the war crimes committed during El Salvador's civil conflict. 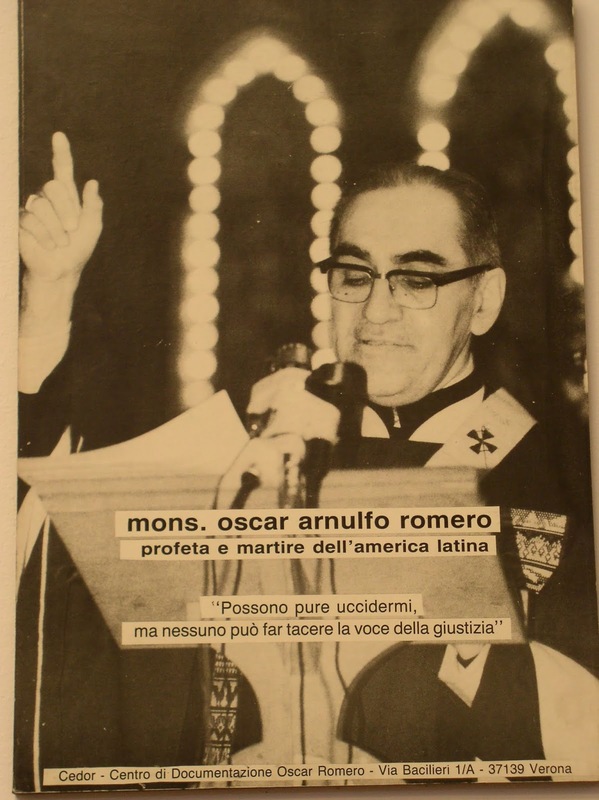 Human rights groups and victims' organizations have mobilized against the proposal which could preclude justice not just for Romero, but for countless other innocents who died at the hands of the military and death squads. Yes, the UNTC found the military to have committed 85% of the identified and substantiated war crimes during the war. But the remaining 15% belong to the FMLN. A war crime is a war crime is a war crime. You don't get bonus points for having committed fewer of them than your opponent. Law makers (law breakers?) and Salvadoran politicians on both sides (e.g. Nida Diaz, alleged to have been instrumental in the authorizing/planning of the Zona Rosa massacre) are terrified that once the El Mozote trial is over, and verdicts rendered, and sentences given, that the next trial may be for the Zona Rosa murders...the murders of the 4 Dutch journalists...the execution of two captured U.S. aviators (POWs)...and on and on and on. El Salvador, should its government reinstate the "get out of jail free" law against international condemnation for even considering doing so, will join the bad old days of Argentina and all those other Central and southern cone countries that participated in Operation CONDOR...and in the "cleansing" of undesirables that began under Fidel and Raul Castro in Cuba and continues to this day...and across the Gulf of Fonseca in Nicaragua. A renegade state is just that. "Arrest warrants have been issued in El Salvador for three former leftwing guerrilla fighters wanted in connection with the execution of two American soldiers whose helicopter was shot down during the country’s 1979-1992 civil war. "Destruction is not the law of humans. Man lives freely only by his readiness to die, if need be, at the hands of his brother, never by killing him. Every murder or other injury, no matter for what cause, committed or inflicted on another is a crime against humanity."